If you’ve visited the MapIt site this week, you might have noticed a change: we’ve introduced key-based authentication for API users. This enables us to be more flexible about how we provide our service, which means you can be more flexible about how you serve your users. MapIt is both an open source application and, via https://mapit.mysociety.org, a web service. Use of the API is free for low-volume, charitable use, while all other uses require a licence. For the moment API keys are optional. We’ll always offer a free level of service to support independent developers and charities. We’ll have more details soon about the increased flexibility this change will bring. Last year, we blogged about the work we did for Médecins Sans Frontiers, suggesting improvements for their Patents Oppositions Database. When medicines are re-patented, it prevents the development of generic versions. One company retains the monopoly, and costs remain high, where otherwise the generics would have provided a cheaper option. 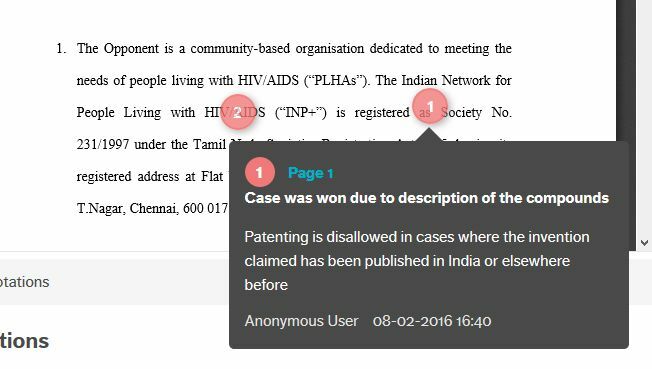 Médecins Sans Frontiers support those who challenge patents in court by providing resources, such as arguments which have previously succeeded in similar cases, via their Patents Oppositions Database site. As we explained in our last post, it was clear to MSF that while the idea of the Patents Opposition Database was sound, it relied on active take-up from community members — members who were often too busy to engage in a site that was anything less than simple and inviting. That’s when they came to us, first for consultation, and then to put our suggestions into action. It’s exactly the sort of work we enjoy: it potentially changes lives, and it involves using good design and coding to do so. MSF had a good idea of why their site wasn’t enjoying the kind of take-up they’d hoped for, and in that initial phase we were able to confirm this through research. And that pretty much brings you up to speed with where we were last time we blogged this project. Since then, we’ve been beavering away on making improvements. How do you encourage community? People tend to look at community as a nebulous concept: all the more so with online communities, where success is often seen as a coincidental factor rather than one that you can foster. But for this project, it was clear what to do. And the site has the odds stacked in its favour: visitors have a very strong motivation to contribute, so we just needed to make that as simple as possible. We worked on two broad areas: the site’s design, and some new core functionality. The first thing to do was to ensure the site met modern standards, breaking down any impediments to participation. It’s now responsive (ie it displays well on any size of screen), clear, and accessible. Then we made sure that, when visiting the homepage, it was obvious what to do next. This was achieved with a prominent search function, and some clearly signposted ‘next steps’. We wanted to reward people and organisations for playing an active part, so we created profile pages which highlight their activity. Documents are the mainstay of the site, so they’re now highlighted as the main resource on any pages where they’re relevant. We also tidied up the way they were being stored, so they’re consistent across the board. We tackled that user frustration and made sure that patent data from sources such as WIPO and EPO were cross-referenced and brought together. Users can now view and mark up documents right on the site, and then share what they’ve discovered with other users, thanks to the ‘add an annotation’ function. We created an email alerts service, drawing on our experience running TheyWorkForYou, which sends out thousands of alerts to people tracking topics in Parliament. This kind of alerting system is great for bringing people back to the site at their own convenience. 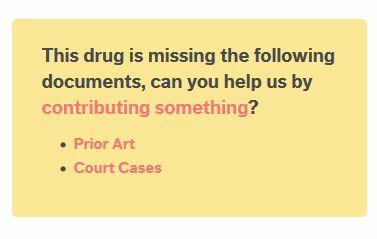 So now, when there’s a new case concerning a specific drug, anyone with an interest in that drug will receive an email. If someone leaves a note on one of your annotations, you’ll know about it too. Search is absolutely crucial to the site, so we implemented a powerful new search facility which can look through not just the site’s own pages, but the documents it hosts, too. We added filtering tools to give the user more control over what they see. Advanced users can also obtain search results in a standardised csv format for download, so they can be used for their own reporting, or even as a data source for other sites. We created a new ‘call for help’ service, so users can ask the community to contribute to a patent opposition. 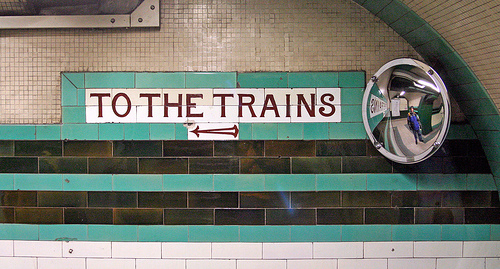 These become touchpoints across the site, where users are urged to help if they can. Need some help? Put the call out. Our improvements were presented at the AIPPI (International Association for the Protection of Intellectual Property) World Congress, and the new site is now live at www.patentoppositions.org. Of course, we’ll be keeping an eye on its performance, and until April we’ll be refining and tweaking until we know that the much-needed community is up and running happily. The planning process can be baffling if you’re new to it and this tool aims to help make it easier to understand. We’ll be helping people answer some of the most common questions they have about planning applications: What applications are happening near me? What decisions have been made in the past on applications like mine? How likely is it that my application will be dealt with on time? The site helps people browse planning application data by location — whether a postcode or a street address — and by type — whether it’s an extension, a loft conversion, or a major development like a retail park or commercial warehouse. 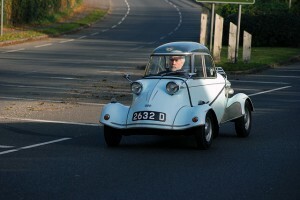 That project can now be seen at http://openplanning.hampshirehub.net/: go and have a poke around! OpenPlanning displays planning applications clearly on a map. Users can browse their local area and learn more about how to complete their own request by looking at the success or failure of what has gone before. This benefits everyone, from residents who are less likely to have their applications turned down, to the council who will find themselves dealing with higher-quality submissions. By aggregating planning application details from multiple councils, the site allows users to browse irrespective of administrative boundaries or the authority in charge. 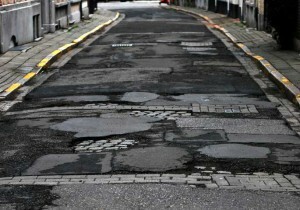 After all, neither of those considerations are very high on the list of the resident’s priorities. 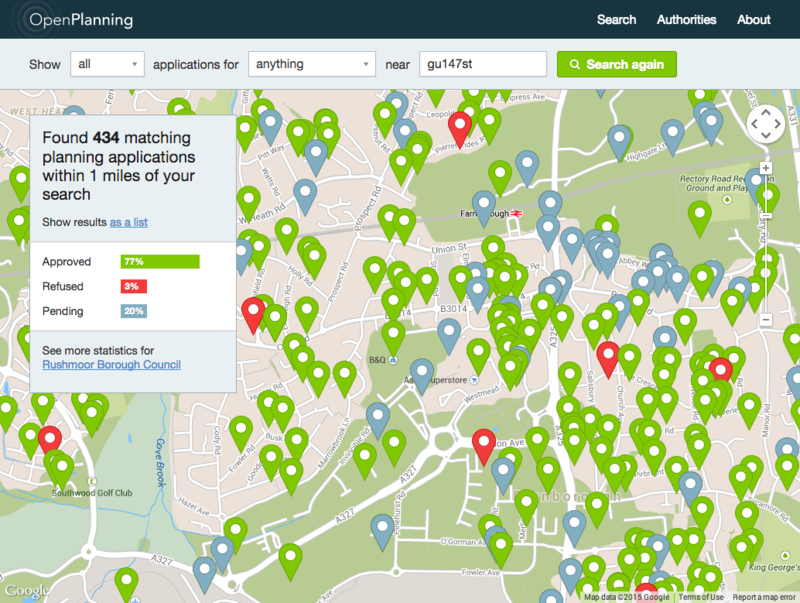 There’s nothing new about putting planning applications online, of course: they can already be browsed and submitted in many places across the web. This project isn’t hoping to replace those tools, but to complement them, providing links to existing data sources where possible, all accessible via a much more user-friendly interface. 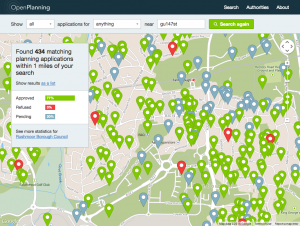 We know many councils and residents struggle with planning applications on a daily basis, and we hope that OpenPlanning will provide the first step towards making the whole process easier for all parties. OpenPlanning is the first iteration of a new product. At this early stage, we haven’t included a facility to submit a planning application – that’s something we could slot in cost-effectively at a later phase though, and of course we’d be happy to hear from any councils who would be interested in adopting that approach. The code is based on Open Australia Foundation’s PlanningAlerts platform, which means it’s already been tried and tested by a wide community down under. It’s still under active development and, thanks to the joys of Open Source code, we’ll be able to contribute improvements back to the original codebase too. We’ve really enjoyed working with Hampshire Hub: a forward-thinking partnership of councils and other public organisations, led by Hampshire County Council, which aims to provide useful open data for the county. Hampshire understands the benefits, both direct and indirect, of open source tools and open data. Now we’re seeking local councils who are struggling with the quality of planning applications, perhaps processing large volumes of applications that are not granted. If that sounds like you then please get in touch to speak to mySociety Services about what OpenPlanning can do for you. Mapumental just became self-service! Now you can order maps as images or data, right from the Mapumental website. Mapumental creates maps that display transit time rather than distance. The results, showing time bands in an array of colours, are both useful and rather beautiful (see the example, right). We’ve added new functionality so that you can download your maps direct – just go to www.mapumental.com and click the ‘try it’ button. Once you’ve input a postcode and moved the slider bar to reflect the maximum travel time you want to display, you can go ahead and click on ‘order this map’, and choose parameters including direction of travel, zoom level, size and title. Choosing the ‘data’ option will export your map as a 500m resolution GRASS ASCII raster, which can be imported directly into your preferred GIS software. You may prefer to simply download the end product – a graphic image that you can save to your own hard drive and use in presentations or reports, on websites, or anywhere else you choose. Payment is via a credit system: the more credits you buy, the cheaper each map is. We hope you’ll find the self-service Mapumental useful – we’d love to hear feedback about your experience using it, and how you utilise the resulting maps. 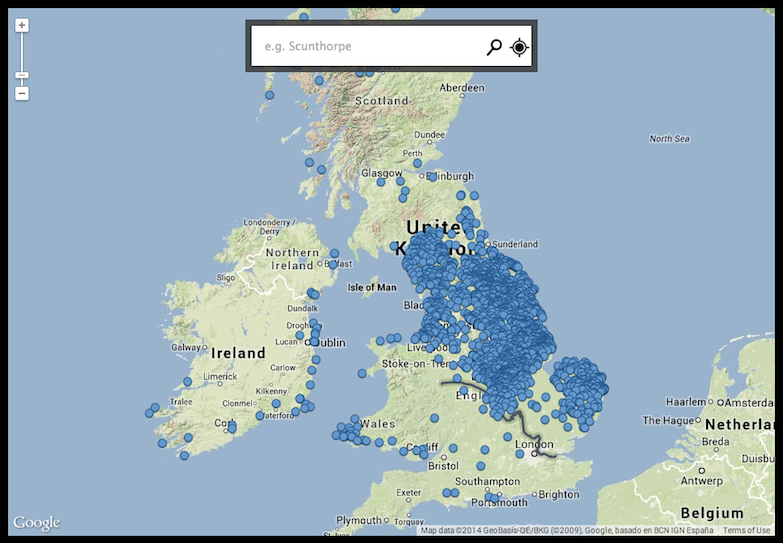 Don’t forget that we can also create bespoke maps with your own data – get in touch to find out more. Not many people realise that we fund a proportion of our charitable work by carrying our commercial development and consultancy work for a wide range of clients. 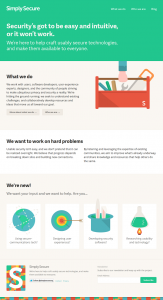 Last year, we scoped, developed and delivered a real variety of digital tools and projects. Some of the projects were surprising. Some of them made us gnash our teeth, a bit, as we grappled with new problems. But all of them (and call us geeks if you like) got us very excited. Here are just twelve of our personal high points from last year. 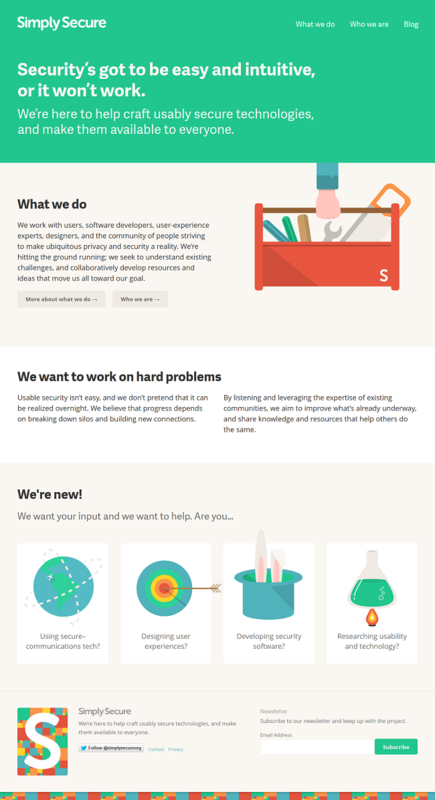 If you have a project that you think we might be able to help you with in 2015, we’d love to hear from you! This time last year, a small team from mySociety was poring over analytics, interview content and assorted evidence from Parliament projects dating back last 2-3 years, to help us put together a simple set of recommendations to conclude our review. 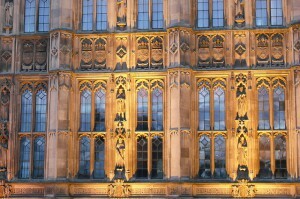 11 months later, Parliament have announced their first Head of Digital, fulfilling one of our key recommendations. Two of our projects helped people financially. We built the Money Advice Service’s (MAS) first responsive web application, the Car Cost Calculator. This tool takes one simple thing you know (the car you wish to buy) and tells you roughly how much it’ll cost to run that car against any others you might be interested in. It has been one of MAS’ most successful online tools in terms of traffic and conversion. We also built the Financial Conduct Authority’s Scam Smart tool, aiming to prevent financial scams. This tool helps users considering a financial investment to check a potential investment. Users enter information about the type of investment, how they heard about it and the details of the company offering it to them and get back tailored guidance and suggested next steps to help them ensure the investment is bona fide. 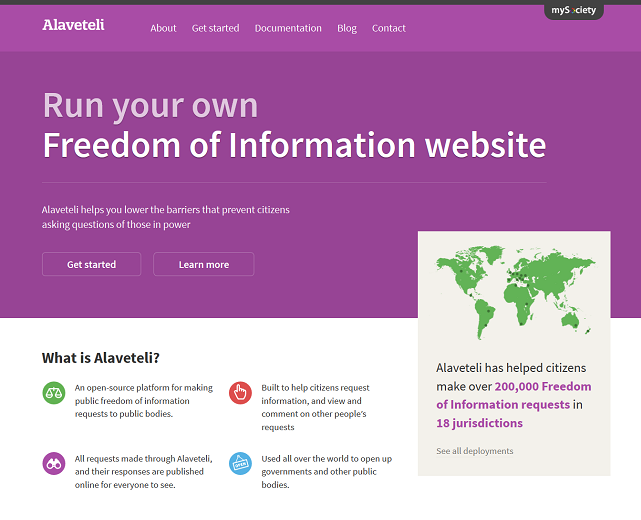 Working with the The National Authority for Transparency & Access to Information (ANTAI) and the Foreign & Commonwealth Office (FCO), we set up our first government-backed instance of our Freedom of Information platform, Alaveteli, in Panama. 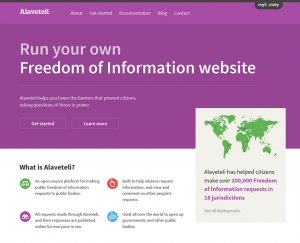 This project will ensure that Panama’s FOI legislation is promoted and used, but it will also shine a light on ANTAI, who are responsible for ensuring ministries and organisations publish their information, and handling case appeals. 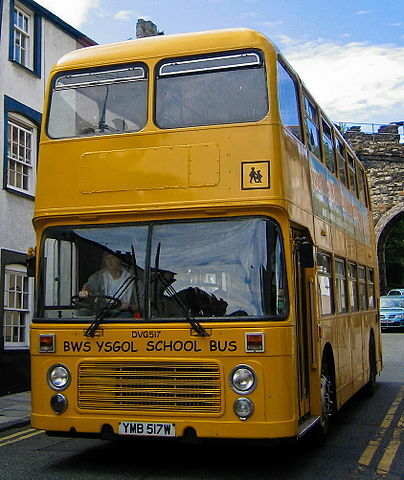 After we extended the Mapumental API to produce data output suitable for GIS (geographical information systems), the Welsh Government were able to map public services in Wales for their Index of Multiple Deprivation calculations. Over the course of the year they have calculated travel times for over seventy thousand points of interest. Simply Secure approached us in dire need of a brand, an identity and a website to accompany the launch of their new organisation to help the world build user-friendly security tools and technologies. Cue four weeks of very intense work for mySociety’s designer, supported by members of the commercial team. And we did it. 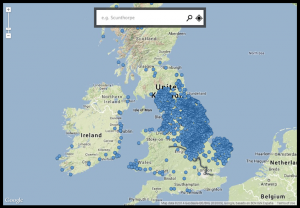 mySociety developer Dave Arter figured out how to generate A1 sized maps from Mapumental for every job centre in the UK – all 716 of them. Xerox will be using these with the DWP to help job seekers find work that is within reach by public transport. As a byproduct, Mapumental now handles high-fidelity print based outputs: get in touch if that is of interest. With Hampshire County Council we had the opportunity to build a new application to help assist members of the public and business better understand what was happening around them. For us, it was also the first application in which we worked closely with a provider of a linked data store, in this case Swirrl. When Open Planning goes live, it will look to help improve social engagement and the economy of Hampshire through better understanding and transparency of planning data. After a spate of cyclists’ deaths in London last year, we felt that the moment was right to build something that would support cycle safety in the UK. 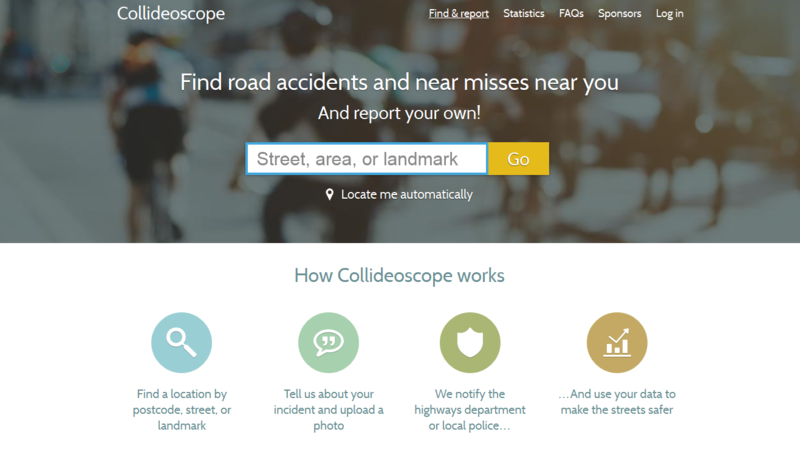 We launched Collideoscope on October the 7th with our first sponsor—Barts Charity, with the aim of generating data both on incidents involving cycles, and near misses. We built a tool for the British Museum, to go alongside the general release of Vikings Live. The Norse Names project brought a sense of context and personalisation to a dataset gathered by the University of Nottingham. In 2013, we built an interface to help people explore the data in the National Rail Passenger Survey (NRPS) data explorer for Passenger Focus. 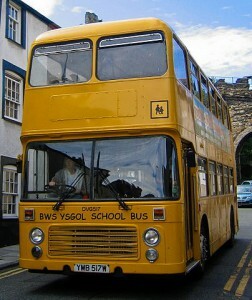 This year, they asked us to build something similar for bus users. We’re entering the final week of development now, and the finished product should be launched in March. The main aim of this site? To take data that could be considered pretty dry, and make it a lot more engaging. This year Warwickshire, East Sussex, Hart & Harrogate joined the list of councils using FixMyStreet as their main street fault reporting platform. 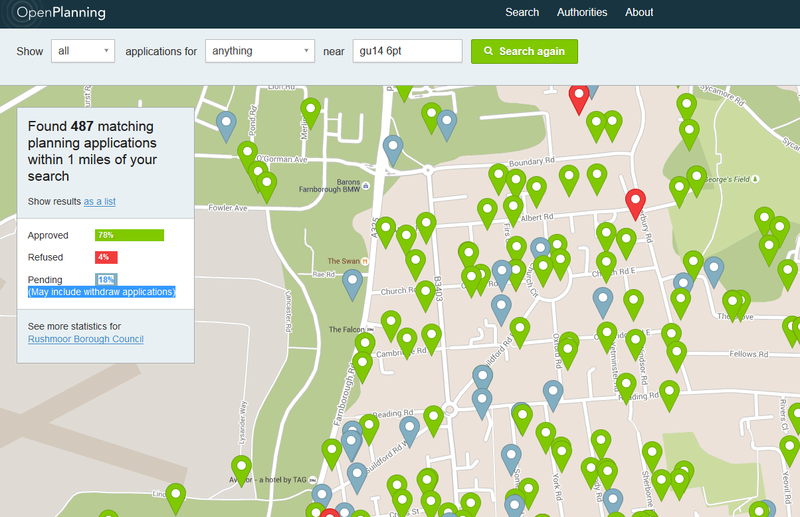 That means that residents of those places can now make their reports direct from their council’s website, or via FixMyStreet, and either way they’ll have all the benefits of FixMyStreet’s smooth report-making interface. And so, we end where we began. While Parliament were busy interviewing candidates for their new ‘Head of Digital’ position, we were commissioned to demonstrate what Hansard might look like were a platform like SayIt used instead of the largely print-based publishing mechanisms used today. The result was shared internally. 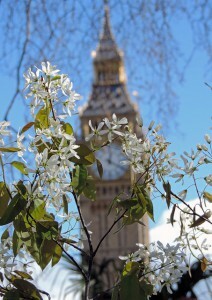 While SayIt may not be the end solution for Parliament, it’s great to have had some input into what that solution might be. Got a project that you’d like us to be involved in? Get in touch and tell us about it. 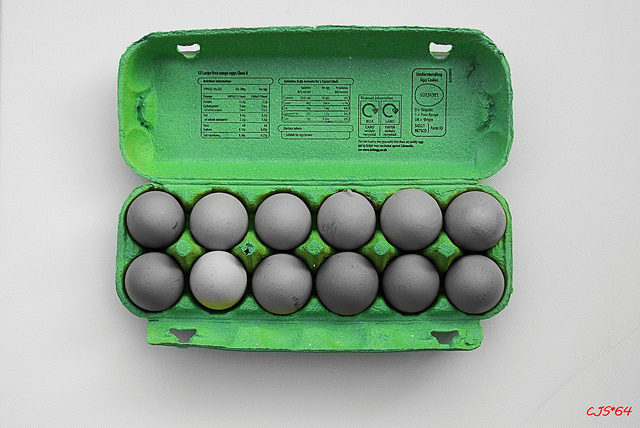 Eggs: Craig Sunter; Parliament: Greg Dunlap; Bubble car: Allen Watkin; To the Trains: Nic McPhee; Potholes: Tup Wanders; Parliament Duncan Harris. All Creative Commons. Simply Secure is a new organisation, dedicated to finding ways to improve online security – in ways so accessible and useful that there will be no barrier to their use. It will bring together developers, UX experts, researchers, designers and, crucially, end users. The plan is to ensure the availability of security and privacy tools that aren’t just robust – they’ll be actively pleasing to use. Now, you may be thinking that online privacy and security aren’t the most fascinating subject – but this month, the chances are that you’ve actually been discussing it down the pub or with your Facebook friends. Remember the iCloud story, where celebrities’ personal photographs were taken from supposedly secure cloud storage and put online? Yes, that. If you uttered an opinion about how those celebrities could have kept their images more safely, you’ve been nattering about online security. Simply Secure is founded on the belief that we’d all like privacy and security online, but that up until now, solutions have been too cumbersome and not user-centred enough. When implementing them becomes a hassle, even technically-literate people will choose usability over security. Simply Secure knew what their proposition was: now we needed to package this up into a brand for them. Crucially, it needed to transmit a playful yet serious message to launch the organisation to the world – within just four weeks. Our designer Martin developed all the necessary branding and illustration. He created a look and feel that would be carried across not just Simply Secure’s website, but into the real world, on stickers and decoration for the launch event. Meanwhile, mySociety Senior Consultant Mike helped with content, page layout and structure, all optimised to speak directly to key audience groups. Down at the coding end of things, our developer Liz ensured that we handed over a project that could be maintained with little to no cost or effort, and extended as the organisation’s purpose evolves. What did the client think? In their own words: “We approached [mySociety] with a rush job to build a site for a complex and new effort. “They were able to distill meaning from our shaky and stippled examples, and create something that demonstrated skill not only as designers and web architects, but as people able to grasp nuanced and complicated concepts and turn those into workable, representative interfaces”. People who know mySociety’s work might have noticed that we don’t typically work on purely content-driven sites. Generally we opt to focus on making interactions simple, and data engaging, so why did we go ahead with the Simply Secure project? Well, there were a couple of factors. Firstly, we genuinely think that this will become an invaluable service for every user of the internet, and as an organisation which puts usability above all else, we wanted to be involved. Second, we believe in the people behind the project. Some of them are friends of mySociety’s, going back some time, and we feel pretty confident that any project they’re involved in will do good things, resulting in a more secure internet for everyone. Simply Secure launches today. We’ll be checking back in a couple of months to report on how it’s going. For now, do yourself a favour and visit Simply Secure now. If you have expertise or opinions in any area of online privacy and security, why not get involved?